ARE YOU LOOKING FOR A CATERING VAN, HVAC VAN OR MAYBE EVEN A MOVING VAN? LOOK NO FURTHER, this 2018 Ford Transit Connect can be equipped with whatever you need. It has the 2.5L DOHC engine with fuel efficiency at 20 highway MPG. And with 124.3 cubic feet of cargo capacity, you will have plenty of room for whatever your hauling! Need bins or shelves, even a refrigeration unit? No problem, we can build to suit your needs! Stop in to see Barry, our Commercial/Fleet Sales Manager at Tri Star Somerset, 1260 N. Center Avenue, Somerset, PA, 15501 or give him a call at (855) 830-8842 and let us demonstrate our commitment to excellence! MSRP PRICE IS $25,756. 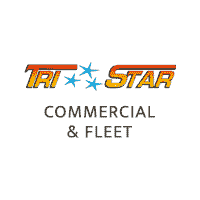 TRI STAR'S SALE PRICE INCLUDES TRI STAR COMMERCIAL DISCOUNT AND $1,500 IN RETAIL CUSTOMER CASH, 2019 COMMERCIAL VEHICLE SEASON BONUS CASH AND 2019 FORD COMMERCIAL CONNECTION UPFIT REBATES. TAX, TITLE AND TAGS NOT INCLUDED IN LISTED PRICE. NOT ALL CUSTOMERS MAY QUALIFY FOR ALL REBATES. * Check out this 2018 RAM ProMaster City Cargo Tradesman * * 2018 ** RAM * * ProMaster City Cargo * This Bright White Clear Coat 2018 RAM ProMaster City Cargo Tradesman might be just the mini van for you. Rocking a timeless white exterior and a black interior, this car is a great pick. Call and schedule your test drive today! Get the Tri Star Ultimate Advantage! New Loyalty Advantage Benefit Package, KeyCare, Nitrogen Tire Inflation, Dent Repair, Maintenance Savings Booklet - Maintenance Program Includes: 1st Oil Change, Lifetime State Inspections, Discounts and savings valued over $2,000, $500 Additional Trade-In Value, Best Value Guarantee! $5,400 VALUE AT NO EXTRA CHARGE! *Excludes Commercial, Government and Fleet Vehicles. See Store for Details. ARE YOU LOOKING FOR A CATERING VAN, HVAC VAN OR MAYBE EVEN A MOVING VAN? LOOK NO FURTHER, this 2019 Ram ProMaster City Cargo Van can be equipped with whatever you need. It has the 2.4L Tigershark I-4 engine and with a max cargo capacity of 131.7 cubic feet, you will have plenty of room for whatever your hauling! Need bins or shelves, even a refrigeration unit? No problem, we can build to suit your needs! Stop in to see Barry, our Commercial/Fleet Sales Manager at Tri Star Somerset, 1260 N. Center Avenue, Somerset, PA, 15501 or give him a call at (855) 846-2495 and let us demonstrate our commitment to excellence! MSRP PRICE IS $26,850. TRI STAR'S SALE PRICE INCLUDES TRI STAR COMMERCIAL DISCOUNT AND $2,500 IN RETAIL CUSTOMER CASH, COMMERCIAL TRUCK/VAN SEASON COMMERCIAL BONUS CASH AND 2019 COMMERCIAL EQUIPMENT UPFIT REBATES. TAX, TITLE AND TAGS NOT INCLUDED IN LISTED PRICE. NOT ALL CUSTOMERS MAY QUALIFY FOR ALL REBATES.